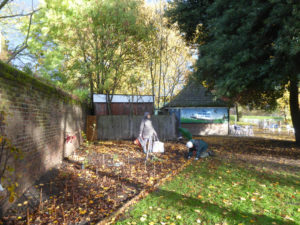 On 3rd November 20118 a group of our gardening volunteers arrived at the park to dig, mulch, “pipe” and plant the bed behind the first orchard, and close to the Old Cottage Cafe. 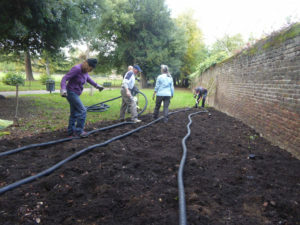 The ground was dug over and pipes for future watering needs, laid below the surface. 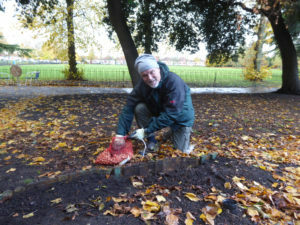 The area has also been given a wooden edging. 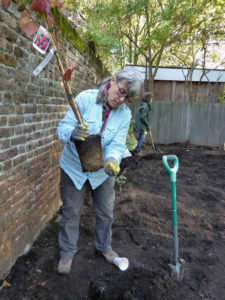 The plot had proved to be very dry, particularly with last summers heat and lack of rain, as well as the dryness that comes from being next to a wall. 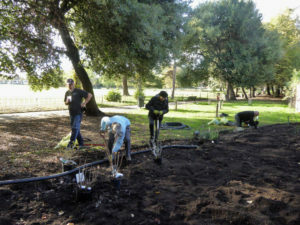 The pipes/tubing should make sure that water gets directly to the roots. 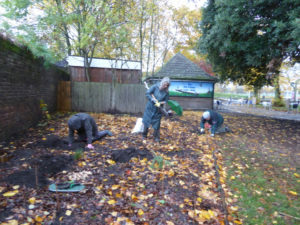 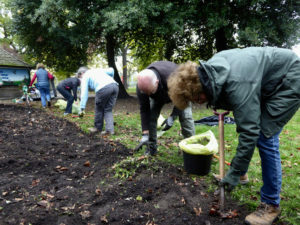 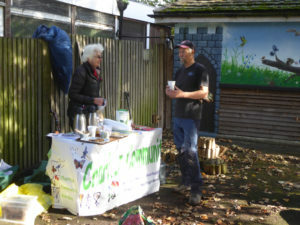 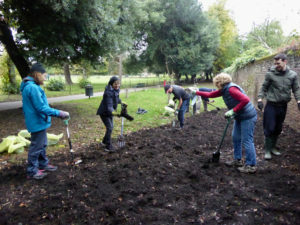 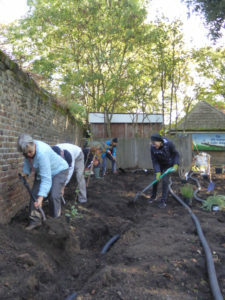 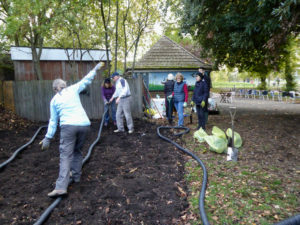 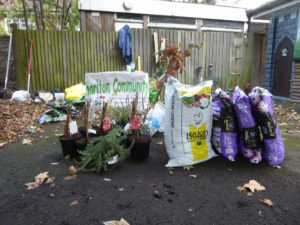 Fruit bushes were planted out, and after the exertions of the morning, refreshments were available and much appreciated.